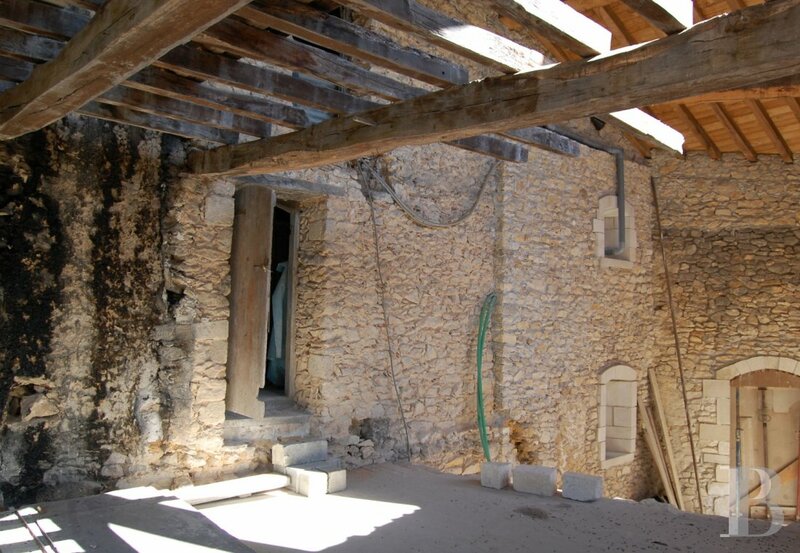 A listed, medieval ruin awaiting completion of its restoration works in an old village facing the Pyrenean Mountains - property for sale France - in South-West, Perigord, Dordogne, Quercy, Limousin - Patrice Besse Castles and Mansions of France is a Paris based real-estate agency specialised in the sale of Residences. 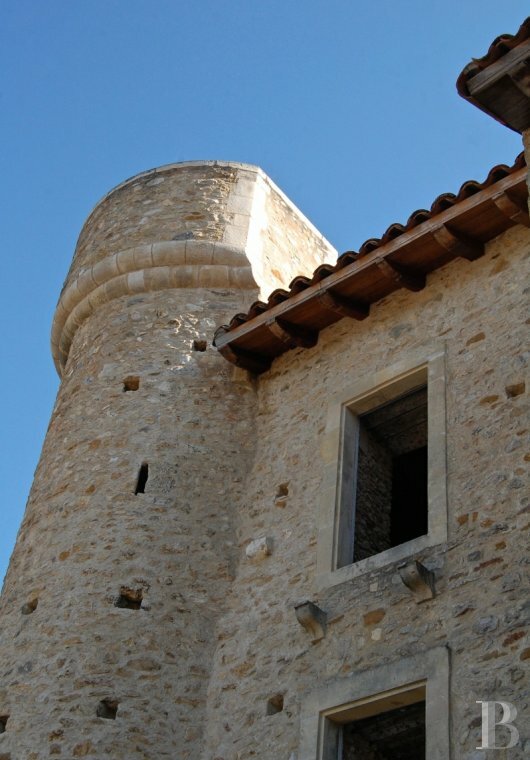 On a crest of the Pyrenean foothills, near to Saint-Gaudens, an old fortified tower, typical of the Gascony region, still guards one of the three entrances to the medieval village. Surrounded by idyllic countrified scenery, with no visual nuisances, the little village appears to be half asleep. 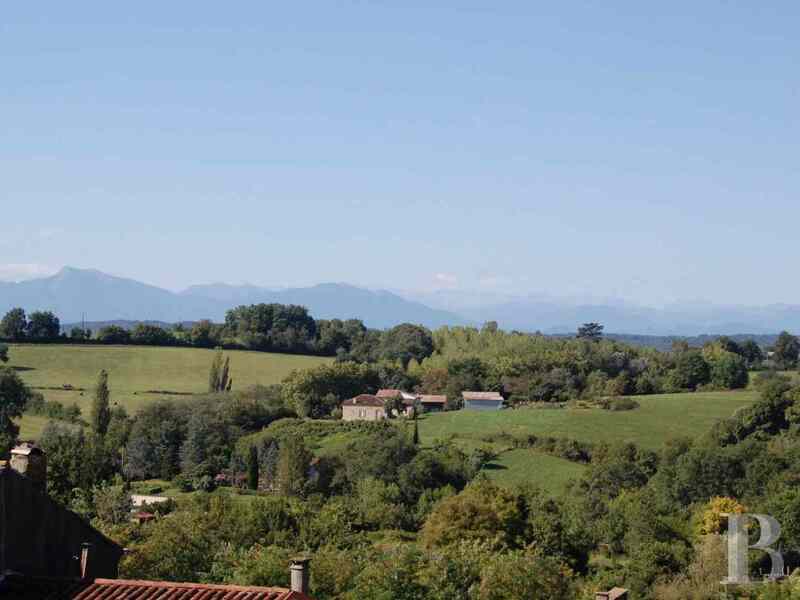 Residents do not easily tire of the stunning view to the south taking in the Pyrenean mountain range! Against all odds, the little village has, up until now, managed to preserve commercial and social activities. A fact worthy of mention as it is rare for such a village to still have shops, primary and secondary schools, a health centre, a cinema as well as restaurants. 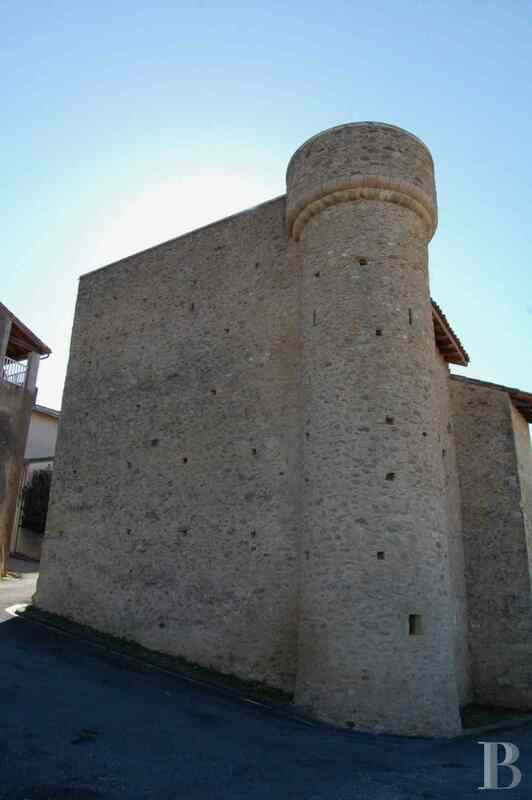 An hour away from Toulouse and from Tarbes (TGV train stations and international airports). A ski resort is but an hour’s drive away. Custom is such that reference is always made to “the” tower, despite the fact that there are two. 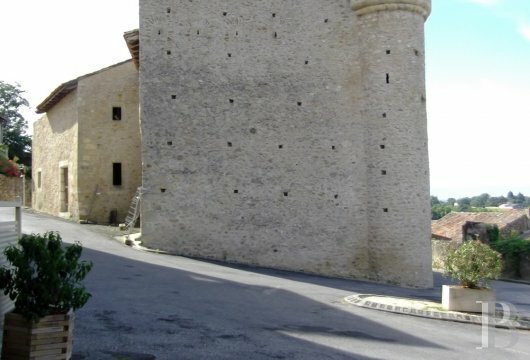 A round tower standing in the south-west corner is the oldest of the buildings whilst the second, rectangular tower adjoins the wall on the south side. Called “sala” in the Gascon language, “the” tower was a stronghold house, predominantly used for accommodation purposes, around which other larger and smaller annex sections were then added. 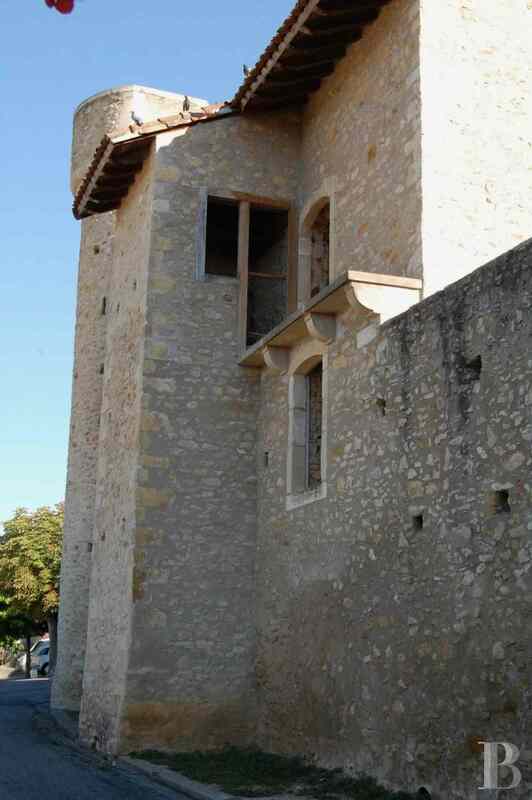 The resulting property was often transformed into a castle or a chateau. A narrow road, on the south side of the residence, runs alongside an open valley which gives a superb view of the Pyrenean mountain range. A square, laid out on a site which was outside of the village, borders the west side. A street, once a way into the village, runs alongside the buildings on the third side, facing north. And finally, the property is delimited on the east side by a party wall. The little village has all the advantages of a small as well as a large town. The village is particularly quiet and cars are rarely to be found in its few narrow streets. Here, the pedestrian rules and shopping can be done on foot as all the shops are concentrated in a central area which is easy to reach. Local shops such as a grocery, a bakery and a butchery are all present; there is even a cinema which remains very busy. 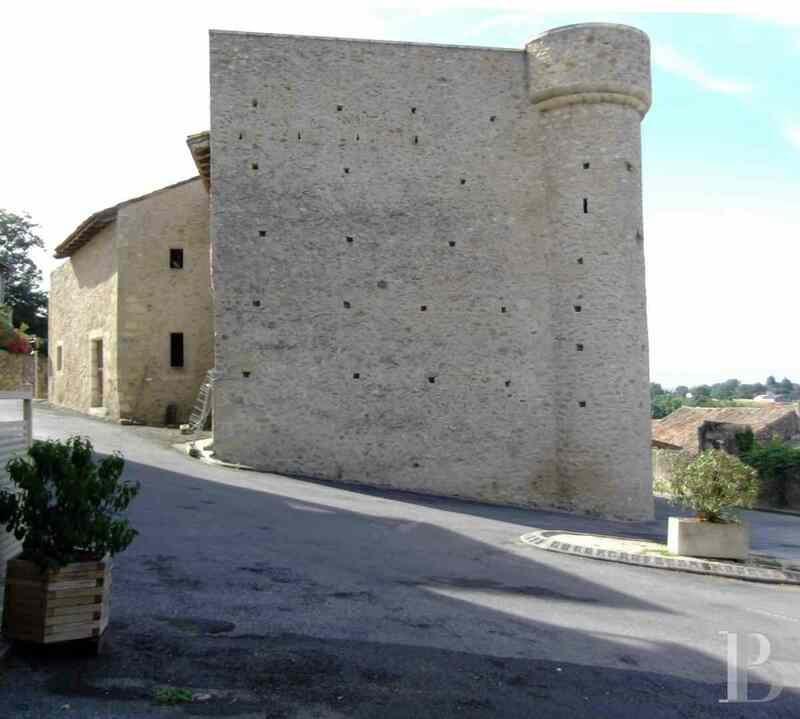 In short, this modest sized village, set in the Comminges area, is like a small compact town. The corner, so-called “de Savoie”, tower is listed which guarantees the protection of its surrounding area. 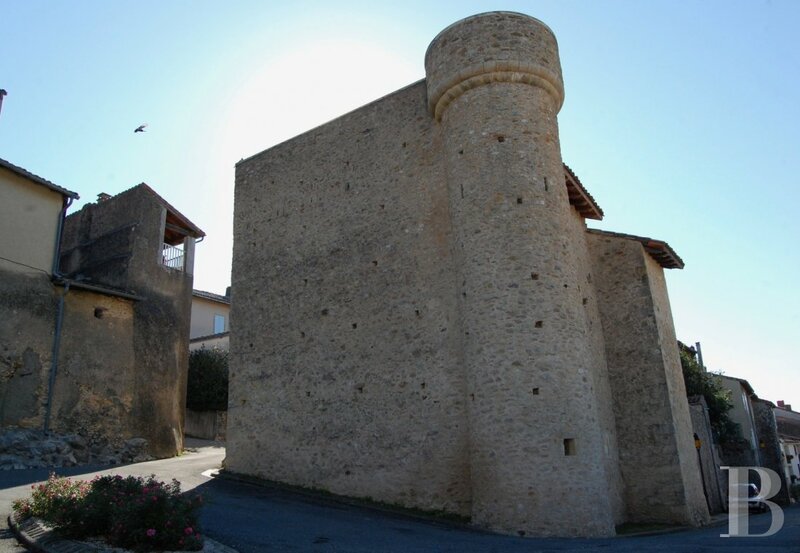 Protection provided by the French Historic Monument listing of the single corner tower is sufficient to guarantee that nothing will change the view and the aesthetic quality of the surroundings. Works undertaken up until now and those which are planned are therefore quite within the law. This property is composed of miscellaneous, somewhat disparate buildings dating from different, sometimes identifiable eras (between the 16th and 19th centuries). There are, for instance, a semi-underground wine cellar, partially hewn out of the rock, and the remains of an old forge which some of the local residents still remember. At least two separate houses were combined as one in the 18th century. This can be clearly seen courtesy of the difference in levels where they meet and courtesy of the lintels which have sometimes been modified to give them sufficient height. 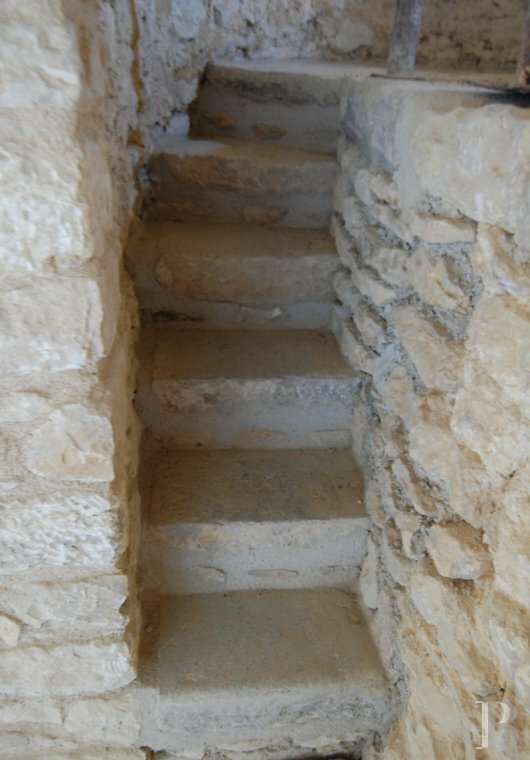 It is currently difficult to say what floor surface areas were used for what purposes over the centuries. This explains the choices that the current owner has had to make in order to rehabilitate the premises. 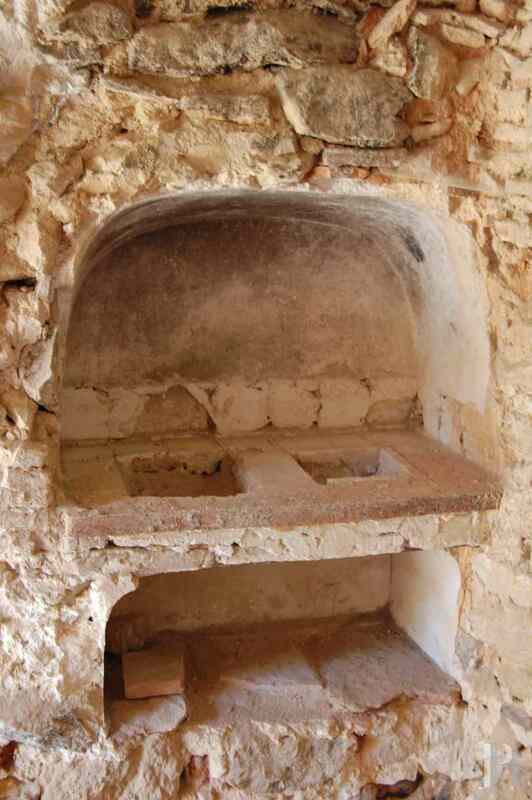 Some decorative features, from the 16th and 19th centuries alike, are nevertheless easily recognisable such as the remains of a fresco, a marble fireplace or wallpaper. Although only vestiges, they are worthy of interest and their enhancement can but accentuate the sometimes vertiginous effect of the passing of time. The living space spans 270 m² over two levels under an attic floor which does not have sufficient height under its beams to warrant conversion but is nevertheless a large storage area. 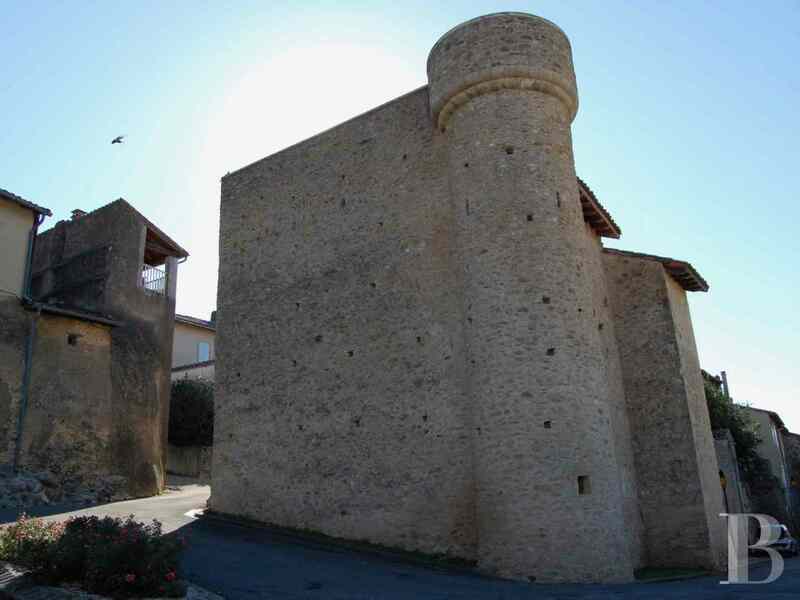 An integral part of the village’s perimeter wall, the so-called “de Savoie” gateway is still marked by traces of the old hinges, the hole for the barrier used for closing the gates and the arch springers. 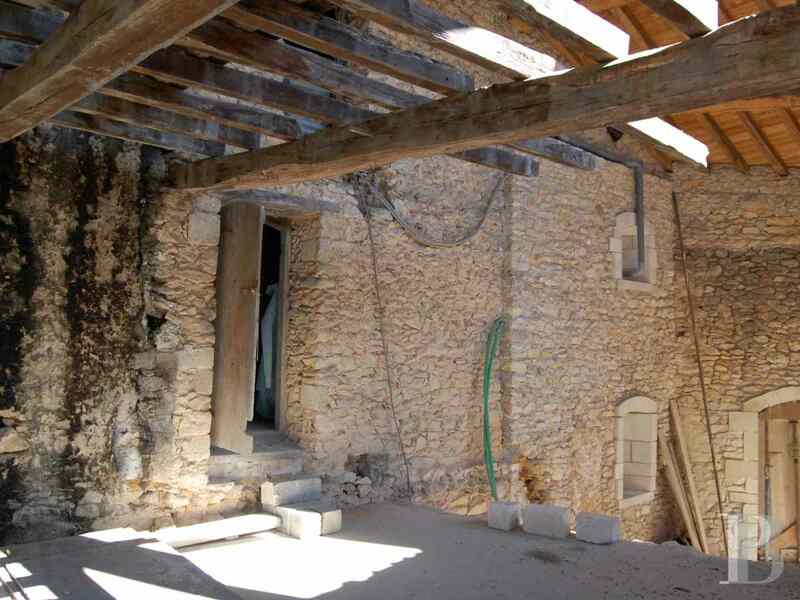 Level with the cellar, hewn in the rock, the perimeter wall itself is an average of one metre thick. 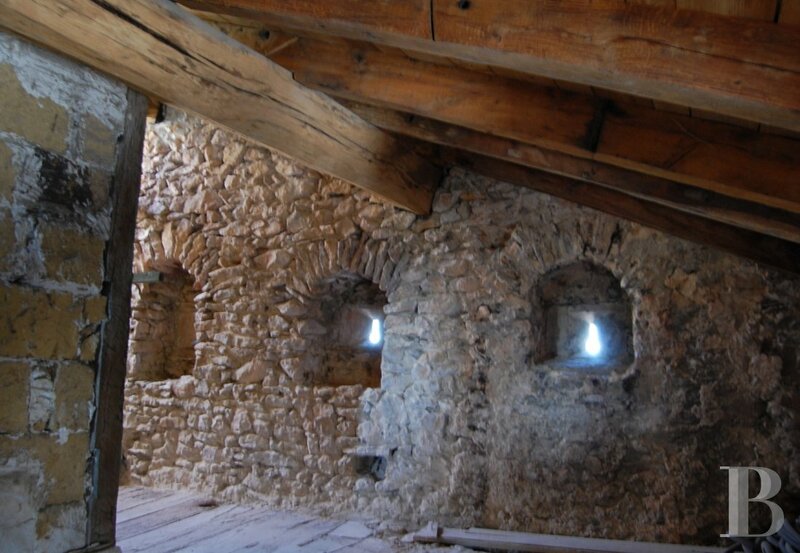 A window with a wide embrasure illuminates the cellar and appears to date from the same period as the rampart. 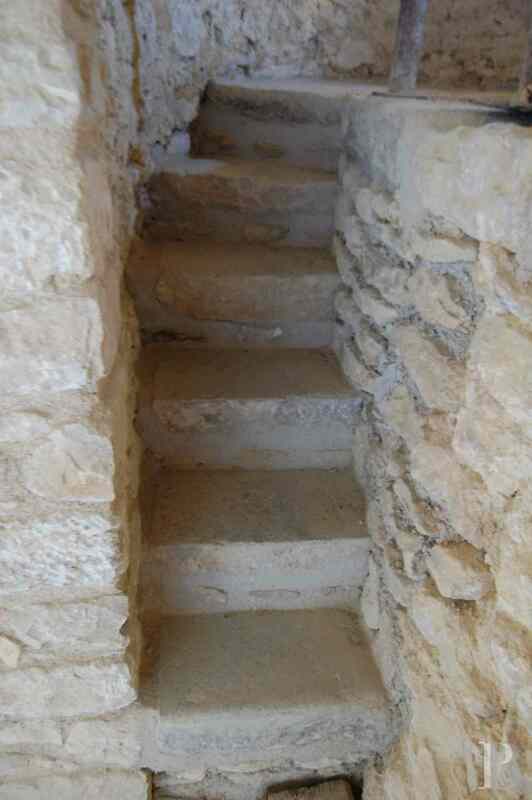 The porous limestone framing has eroded. A monolithic lintel incorporates a semi-circular arch and the embrasure is tightly funnelled. The wall on the ground floor is one metre thick for the half-timbered house and 1.2 m thick for the old forge on the north side. 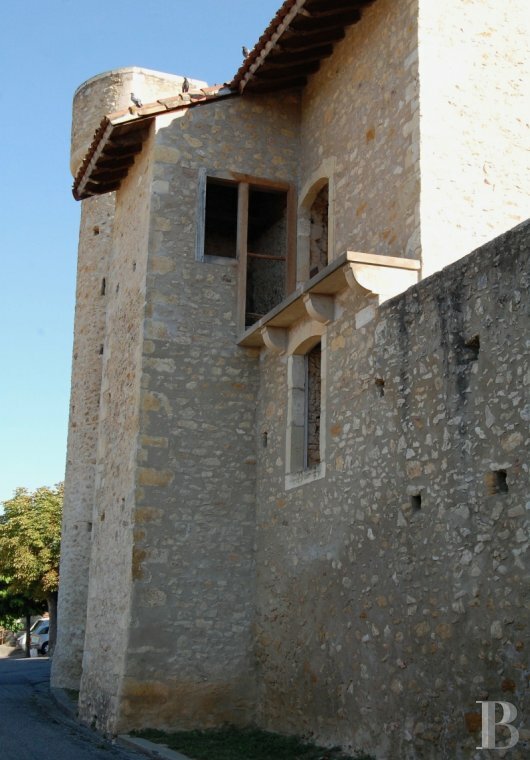 Windows were added after 1896 to the bay between the “de Savoie” tower and the square tower and in the 18th century for the section beyond the square tower. 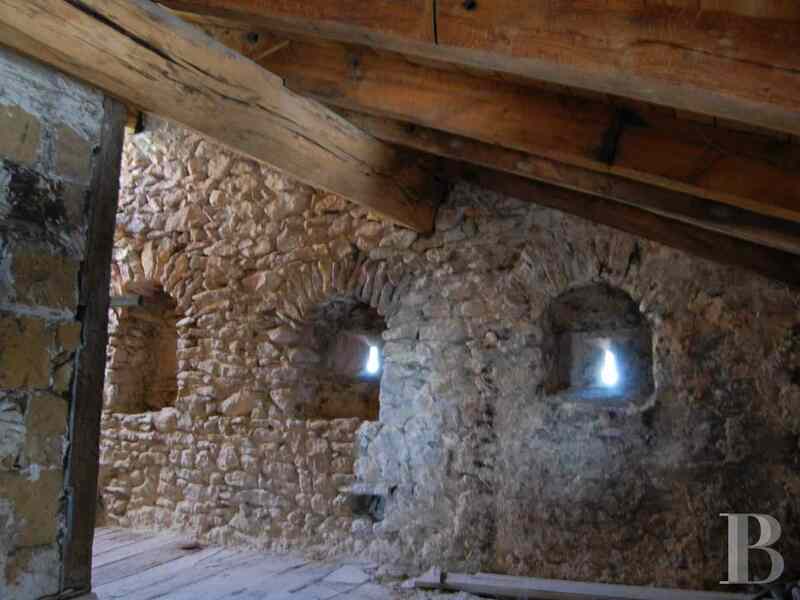 Upstairs, the wall is 95 centimetres thick for the half-timbered house and just fifty centimetres thick from the stairway to the north-east corner of the building. Two quarter-rounded corbels, on either side of the window, are no doubt vestiges of a corbelling feature. On the attic floor, on the north-west facade, four stones feature firing loops (with a round hanger and a firing bay, without pitch, nor depth of embrasure). 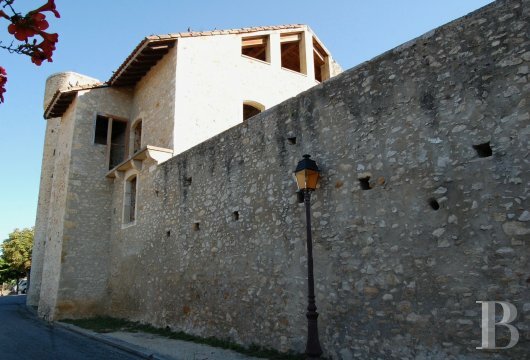 These no doubt date from the 16th and 17th centuries, with reconstruction of the wall as of the first floor. The entire structure has obviously undergone modifications at several times and some features sometimes make it possible to work out the chronology of certain transformations. 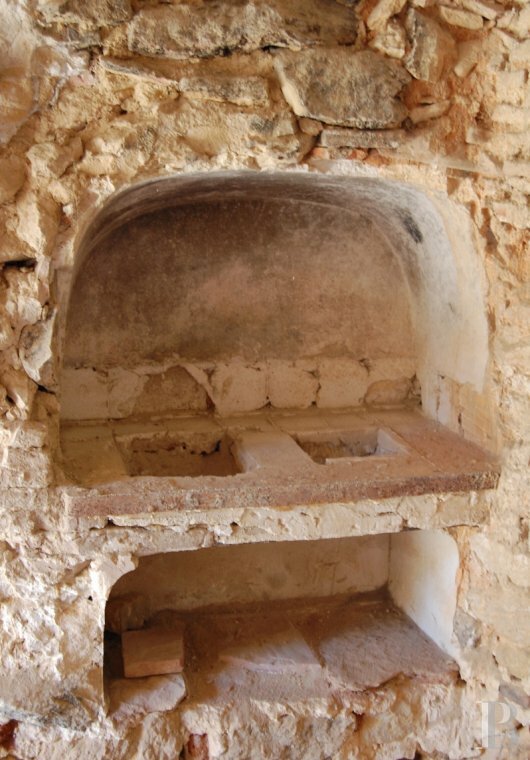 For example, concealed by a more recent fireplace, a fireplace and a potager (a secondary hearth where soups were cooked on embers) were revealed when carrying out sampling. Given the current configuration of the buildings, the best solution is to refer to the plans and the elevation drawing to get a better understanding of the layout of the various sections and levels. A bathroom and a priest’s garden have been laid out in what was once a courtyard. Enlightened enthusiasts will find this a rare opportunity to invest in a venerable construction and to write a new page of its long history. The robustness of the buildings is unquestionable. Restoration works have, up until now, concentrated on the carcass, which is practically finished. The interior is not listed despite the vestiges of a 15th century fresco, new owners will, therefore be able to do with it what they will. 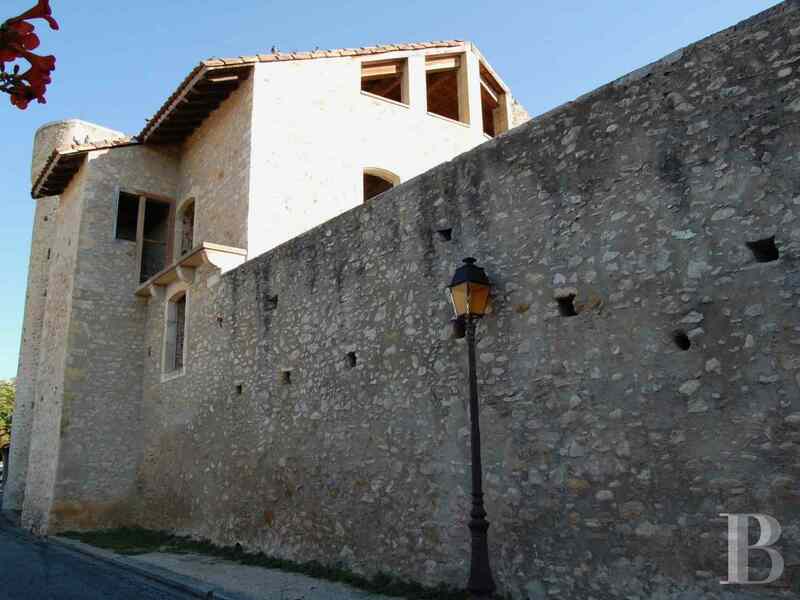 The little medieval village has everything to make it a pleasant place to live, with the Pyrenean mountain range as a backdrop.